If you are looking for luxury, history, beaches, and amazing wine as well as easy access to entertainment, you need to book a stay at the Design & Wine Hotel in Caminha, Portugal. 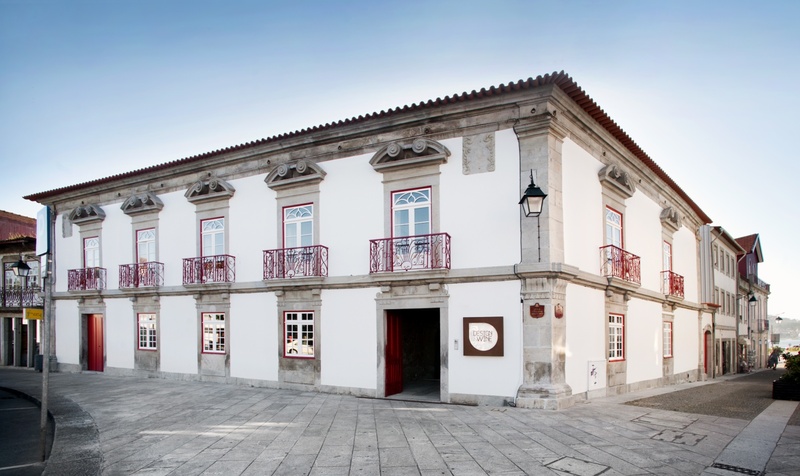 The hotel is a wonderful example of modern architecture blended with the classic 18th century architecture of the manor. In addition to the striking architecture, the building is a solar powered rotating steel structure that revolves to provide guests with changing views of Santa Tecla Mountain and the Minho River. 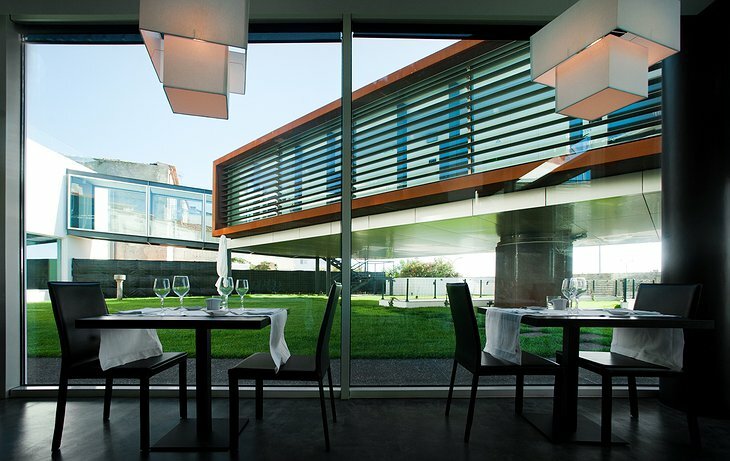 The hotel is completely solar powered and is eco-friendly, with automatic lighting and great environmental policies. The interior of the hotel features unique bespoke rooms and suites with individual themes. 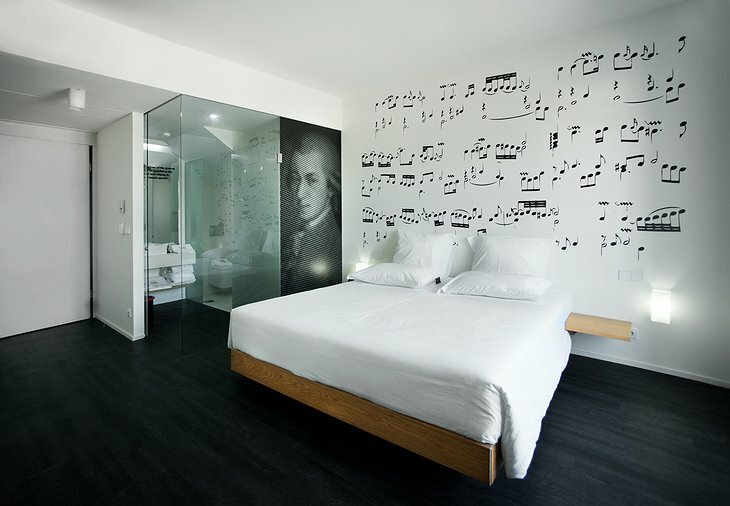 The rooms range from movies, to videos, to street art. 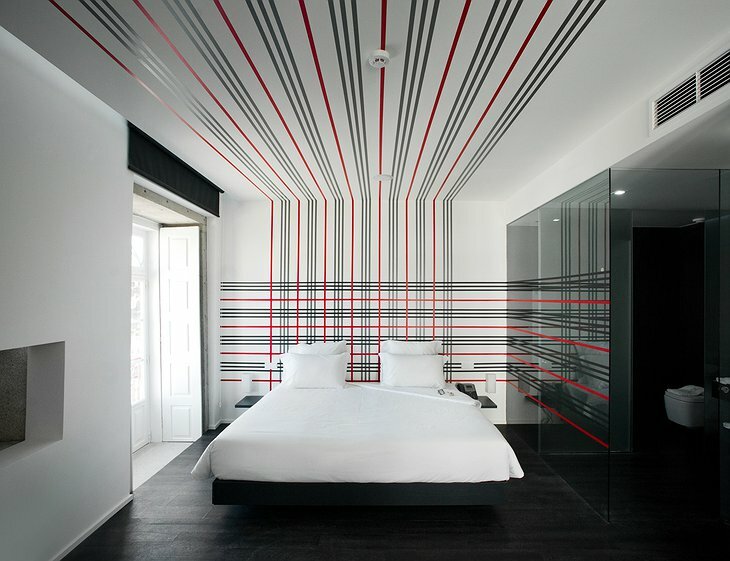 They feature minimalist furnishings with bold graphical color schemes and themes. 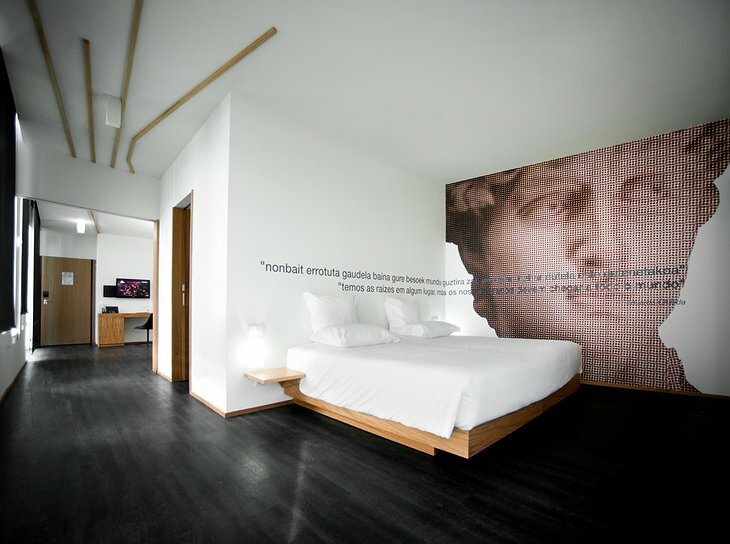 They are also fully equipped with AC, flat screen TVs, a gaming console, iPad, and minibar. The hotel is situated under 2 km from the beach and the on-site restaurant offers a blend of local foods, traditional ingredients and an amazing selection of Portuguese wine. You can also indulge in the daily breakfast buffet with locally sourced produce and ingredients. If you want to venture off site, you can indulge in biking, fishing, diving, and hiking. You can also head into town and visit the clock tower, museums, and other sights within walking distance of the hotel. 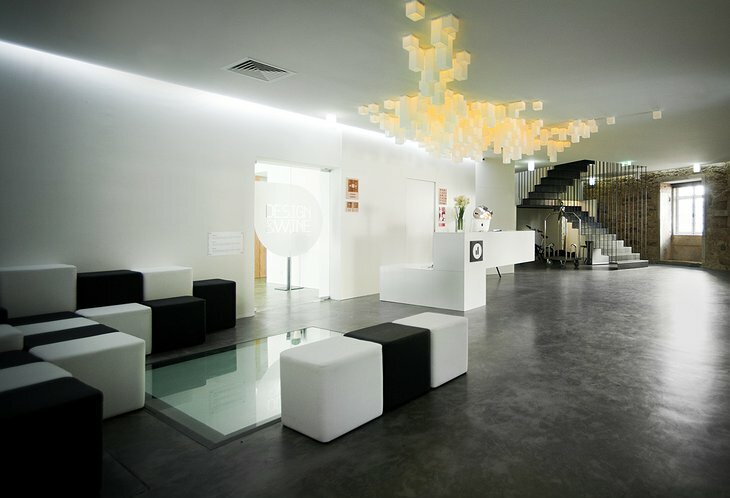 Design & Wine Hotel - Full Version from General Solutions, Lda. on Vimeo.